In the last 30 years, healthcare cost per capita has increased over 700%. In the same time period, time spent between the physician and patient has dropped 73%. 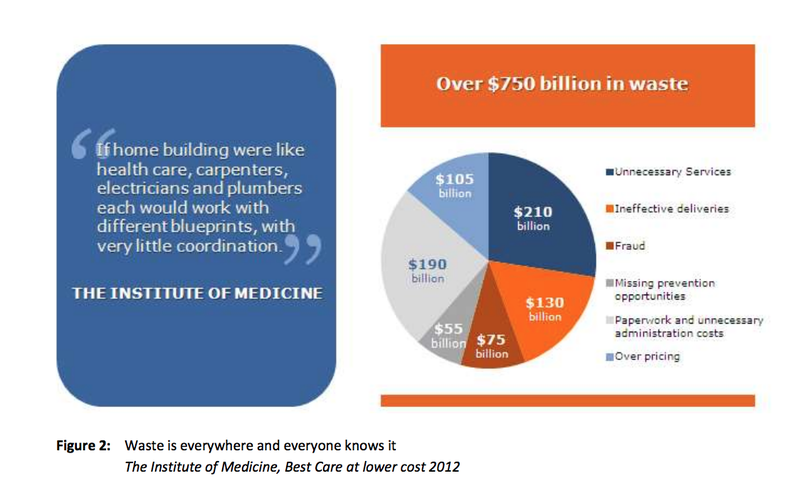 The slide below, produced through information from the Institute of Medicine 2012 study, documents what the Physician Collaboration Project instinctively understood; that is, claims due to waste in the system increase costs by over 30%. The impact of this waste affects every level of life as it slices through the U.S. economy at rates that are multiples of normal inflation. Adding to the challenge of waste is the increasing age of the population in the U.S. and a growing uninsured population. Since approximately 90% of every dollar spent in healthcare comes through a physician order or action, it seems reasonable that physicians can have an impact on each aspect of waste in the system. In fact, the physicians agree that this is true but are also honest in mentioning that there is no incentive for them to pursue greater efficiency. They realize that time and expertise are their marketable resources, but they need information to apply their expertise and incentive to offset the time required. A reasonable analogy would be the concept of a clinic such as Mayo, Scott & White or Kelsey Seybold without the brick, mortar and associated expense. 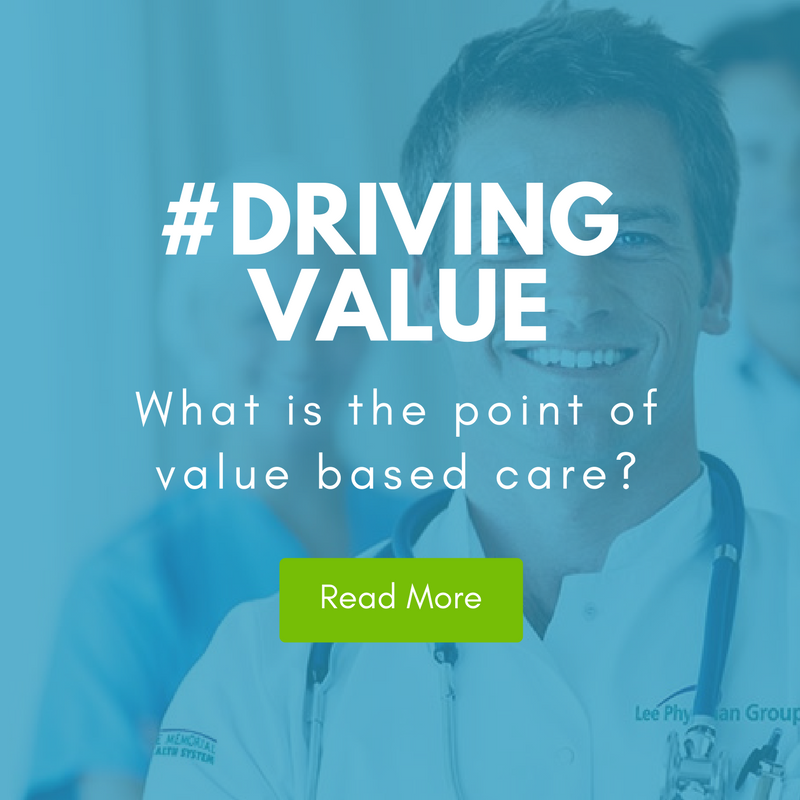 Within that environment, just as with the clinics, physicians collaboratively lead the charge in bringing optimal patient outcomes across physician-specific measures while streamlining the medical delivery process. As a result of these efforts, patients receive outstanding care and service, while the resulting expense of the delivery of medical care is reduced significantly. Since approximately 90% of every dollar spent in healthcare comes through a physician order or action, it seems reasonable that physicians can have an impact on each aspect of waste in the system. To further support the collaborative effort, that same technology also connects the employers, the employees & family members, the benefit consultants and the underlying health plan together such that the value experienced by each constituent is optimized. This can occur in any market, for any employer, on any health plan platform with any provider’s technology base. mpactMD – mpactMD is the foundation for cross-provider patient care collaboration. The technology is fluid and works with any provider or provider type regardless of their core technology. The integration is customized and designed to maintain or enhance work-flows for each practice relating to all collaborative efforts. The bottom line is that it works in their existing world… or else it won’t work at all. Additionally, the technology is intelligent and offers significant decision support and outcomes intelligence reporting. Practices and providers can be registered and integrated into the program quickly, remotely, and with little pain or expense.